Dr Vanessa Garcia Larsen is Assistant Professor in Human Nutrition at The Johns Hopkins Bloomberg School of Public Health, Guest Faculty at Harvard Medical School, and Honorary Lecturer at Imperial College London, where she did her post-doctoral training. Her main research focus is the role of diet in the primary and secondary prevention of allergies, asthma and chronic obstructive pulmonary disease (COPD). She is particularly interested in producing evidence from low and middle income countries, where the COPD burden is greater. She has active research collaborations in Africa, Latin America, Europe, and South East Asia, investigating dietary habits and nutritional bio-compounds (e.g. flavonoids) that could benefit lung health at population level. Dr Garcia Larsen is a Co-Investigator in the Burden of Lung Disease (BOLD) Study, which aims to establish the prevalence and risk factors for COPD in lower- and middle- income countries, and leads the nutritional studies of the Global Asthma and Allergy Network of Excellence (GA2LEN) and of the European Community Respiratory Health Survey (ECRHS). In 2013, she was commissioned by the British Food Standards Agency (FSA) to undertake a comprehensive review of the scientific evidence that maternal (pregnancy) or infant dietary intakes influence the risk of respiratory or autoimmune diseases later in life, and the results have influenced infant feeding guidelines in the UK and internationally. This work showed that there is no evidence to support the use of hydrolysed formula for the prevention of allergies (BMJ, 2016), and that early introduction of peanut and egg reduces the risk of allergy to these foods in high risk infants (JAMA, 2016). 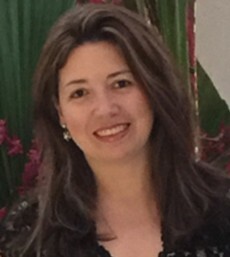 Dr Garcia Larsen is also interested in educational research, particularly in factors influencing the internationalisation of curricula, and lectures internationally to scientists and clinicians. She has supervised or mentored over thirty postgraduate scholars, and has been the recipient of several awards for her role supporting higher education students. In 2018, she was conferred a Master’s in University Teaching and Learning (MEd) in Medicine, by Imperial College London. At present, she is the Coordinator of the Master of Science in Public Health (MSPH) in Human Nutrition at The Johns Hopkins Bloomberg School of Public Health.